I just found out a friend of mine and fellow musician has passed on. R.I.P. Steve Sayre . You will be missed from the deepest depths of my heart and soul. My heartfelt thoughts and prayers are with you, your family, and your friends my brutha. Steve, AKA as L.P. to Troy Hickle and I will be SO dearly missed. http://www.bolin-dierkesfuneralhome.com/obits/obituary.php?id=159887 - For those of you that don't know, we had all played in a band call Shot London and we were in the middle of releasing a new CD in 2013. 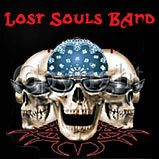 Lost Souls Band Concert: Next show is Saturday, 10/27/2018 - Halloween Concert - American Legion, Main Street in Butler, PA! Post 117. I have been thinking about teaching 1 more day, so for a limited time only, mention that you saw this on my website and your first guitar lesson will be half price! Learn more by visiting my guitar lessons page. Our goal is to promote Music, The Music Artists, Musicians, Bands, and Song writers for Pittsburgh Pennsylvania and surrounding areas. We are set up as an Independent Label and have contacted Record Companies and Record Labels that will be monitoring our site frequently. 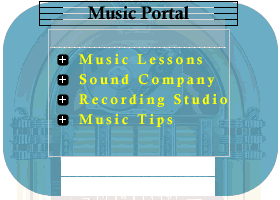 One of our main goals is to provide our clients with Music Information to help get your music career started. As AC/DC would say, "It's a Long way to the top if you want to Rock N Roll". Ozzy Osbourne - I don't Wanna Stop Video - Our band is working on this song and i think it is great that Ozzy and guitar player - Zak Wylde are still making music. Thanks for all the great tunes and videos. Hey, we are ready to play this song live and I can't wait to crank it live oh yeah. I would like to buy one of his guitars someday too! Saturday, April 4, 2010: Did anyone hear the "new Jimi Hendrix song" yet? Thats right, I said NEW JIMMY Hendrix!. I heard the new song from Jimi Hendrix, 'Valleys of Neptune' - Song Premiere the other day on the radio and plan on learning it ASAP and have plans of my own to record a version of it! I recorded this song a while back but just got around to putting it on digital media. I had it on CD before, but lost the CD so I had to do it again. Anyway, it came off of an older cassette so the sound is not as pristine anymore but I hope you still like it. Home Studio Projects - We have been working on our Lost Souls demo recording of Metallica's Enter Sandman. We have to finish up on a couple vocal tracks and the guitar solo.